With over 10 years experience in the driver industry, DriverTuner™ uses the most accurate and comprehensive Driver Scanning Engine (DSE). It can scan the whole computer within seconds. DriverTuner™ machine intelligence identifies your specific computer to provide you with the most accurate and latest drivers available. 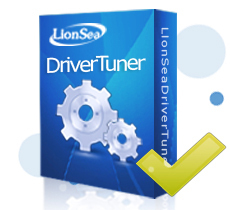 Based on a huge and comprehensive database of more than 200, 000 driver entries, DriverTuner™ supports drivers for almost all major computer hardware and device manufacturers such as Dell, HP, Lenovo, Samsung, Toshiba, ASUS, Nvidia, Intel, Realtek, Brother, EPSON, Compaq, Gateway, and so on. Our technical team will provide you with free technical support to help you handle all hardware drivers and windows system problems! You can contact us anytime!